Damon Locks: What Is Needed To Make Things Right? “What is needed to make things right? How have you been affected? Who else has been affected? 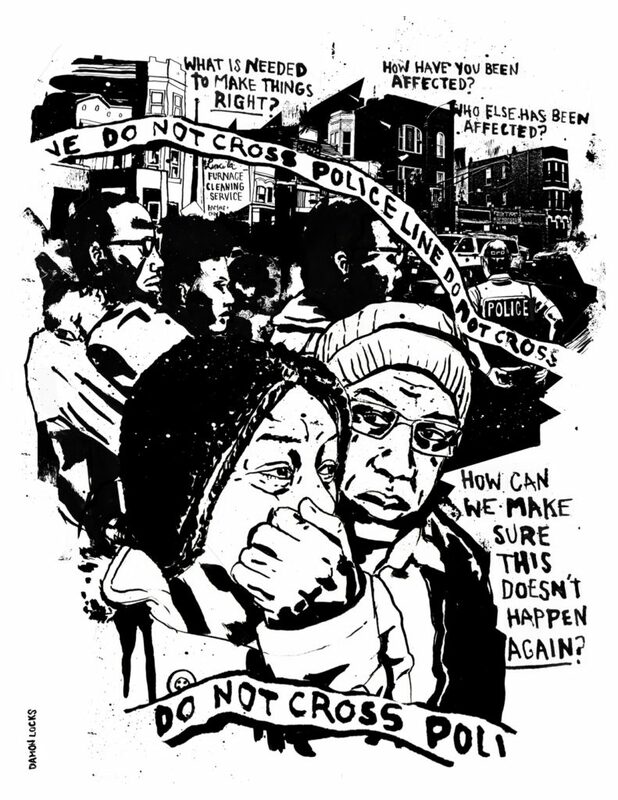 How can we make sure this doesn’t happen again?” This poster was created by Chicago-based artist Damon Locks. ← Anya Liao: What Do You Need To Do To Make Things Right?